I’ve decided to start a new series of blogposts where I would be answering questions from you, guys. I get so many of them and I think that these questions and answers would be interesting and useful for so many of you. 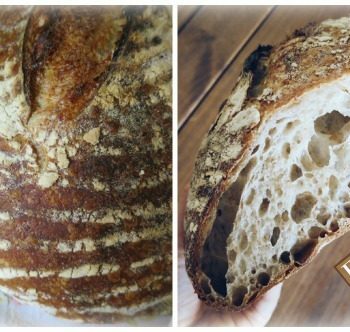 So why not share my answers on the blog and we can all benefit from it? Let’s call this series “Let’s Talk It Through”. What do you think? And I think I really miss summer, that’s why I decided to use a picture of palm trees as a background! If you have a question that you’d want me to answer in detail in a blogpost like this, just get in touch via email or simply comment under this blogpost! Hello! Over this past summer I talked to you about some of my skin issues. My cystic acne has gotten much better since goin off birth control in August, but now I have a huge problem with something called perioral dermatitis. I remember you saying you had some form of dermatitis and was wondering what you did to get it under control? (I just saw your newest video and your skin looks great!!) I recently went to the homeopath and he gave me some things to take as I’ve been having other issues such as hair loss, fatigue, depression, and anxiety. He said he thought it was an issue with my adrenal glands. Sorry this was kind of rambling. , but I was just wondering if you had any tips? Thank you! Dry/peeling/flaking skin, redness, and pimples caused by all that irritation were my constant companions for years. They were always mostly around the mouth and nose area, which fits the description of Perioral Dermatitis. I was never oficially diagnosed with it (because doctors kept insisting on Acne Vulgaris), but I’m pretty sure that’s what I had. And then who cares whether it’s Acne Vulgaris, Perioral Dermatitis or any other kind of dermatitis or eczema? 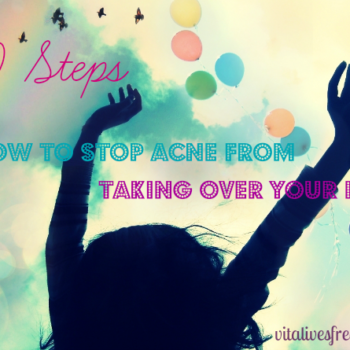 The way to healthy skin always involves very similar steps. So what do I think those steps are? Well, first of all, Perioral Dermatitis, hair loss, fatigue, depression, and anxiety are all signs of excess vata (and a bit of pitta, too) in the body. That’s an ayurvedic term that means there is too much air and dryness in your body. You might also be suffering from things like insomnia, constipation, nutrient defficiences, sciatica, weak crumbling teeth, gum recession, etc. Talking about depression, vata-induced depression would mean feeling overwhelmed, being anxious about the outcome before you even start doing anything, to the point where it’s safer to do nothing. It’s not laziness. I cannot stress it enough. It’s simply being overwhelmed by fair and anxiety. It’s completely different from kapha depression, where you might feel lazy and kind of happy and content not doing anything. Irregular sleep and eating times. So what can you do to find your balance and get your Perioral Dermatitis under control? Eat at regular intervals. Don’t keep your body guessing. Go to sleep and wake up at the same time every day. Ideally, go to bed by 10PM and wakeup before sunrise. Remember that work and play should follow a routine, too. The more you stick to a routine, the more your mind will be able to relax. It will start feeling like it’s finally got life under control. Your body will soon start relaxing, too. And did I mention that your productivity and creativity will both go through the roof, too? It’s so easy to fall in a routine of constantly challenging yourself, constantly striving to be better than others or, even worse, to be better than yourself yesterday. It’s got only one possible outcome: you’ll exhaust yourself and your adrenal glands. Exercise to feel energized, but not to feel totally exhausted. After a good workout session, you should feel much more energetic than before you started it. You shouldn’t be drenched in sweat and totally destroyed. Over-exercising is one of the worst things you can do for your adrenals. It’s a huge stress for your body and can/will promote inflammation in your body. So don’t push yourself for results. Simply enjoy the process and the extra energy, happiness hormones, and radiant skin that it gives you. Eat warm, cooked, moist, slightly oily and very comforting foods. Soups, stews, and oatmeal would be your best bet. 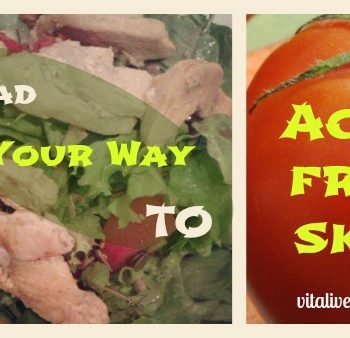 Stay away from raw food, unless it’s warm where you are and it’s only a side dish next to cooked dishes. The media wants us to think that we aren’t going to get enough nutrients and we’re going to die if we don’t eat raw food, but it’s not true. Ayurveda prefers cooked food. There is also a wonderful book called “Catching Fire: How Cooking Made Us Humans”. I used to force myself to eat a huge salad every day (and let me tell you this: it wasn’t pleasant at all in this cold weather) thinking that it was helping my skin and overall health. Until I tried to follow the vata diet and banished raw salads from my diet. I saw a huge transformation in my skin, hair, nails, and the way I felt in general. Try it for yourself and you’ll be surprised. I’ll surely go back to eating salads (just not as a main dish) when the weather warms up, but I’ll make sure that from now on I match up the food with the season and temperature outside. No point in following the media blindly and sacrificing my health somewhere in between. The best fats for you would be coconut oil, ghee, avocado, oily fish, nuts and seeds. If you have no problems digesting dairy, indulge in warm spiced milk (if you can get it raw, perfect! ), cream, fresh raw cheese, and yogurt. If I had to choose only one tip to give you, it would be this. I know it’s not easy, but I feel it’s the most important thing out of all. Even now, with my adrenals finally almost completely balanced, I’d start getting anxiety and sudden moments of rapid heart beats (for no apparent reason) if I eat white or brown sugar (they’re both refined) or something with white flour. My skin would be visibly more blotchy and I would start getting tiny itchy bumps under the skin. There are so many healthier alternatives for those days when you want to treat yourself to something special. Coconut sugar, palm sugar, jaggery, rapadura, and raw honey (best to buy locally) are all such wonderful unrefined sweeteners. Just a note on honey: don’t ever heat it. According to Ayurveda, it becomes toxic if it’s cooked, so only add it once the dish is ready and cooled a bit. Such as bananas (but only well ripe), melons, papayas, oranges, fresh dates, etc. Be moderate, there’s no need to eat 30 bananas a day (especially in winter time and especially if you live in Northern latitudes). Don’t overdo sour fruit, such as lemons, limes, grapefruits, sour strawberries, blueberries, kiwis, etc. because they can throw your pitta out of balance. Eat beans, lentils, chickpeas, and other pulses in small amounts and always make sure they are soaked and well cooked. Always combine them with a generous amount of ghee or coconut oil. They cause bloating in so many people (which is excess vata), including me. But if you eat them in small quantities, they are a super healthy and nutritious food. In India, there is a spice called hing that is always used when cooking legumes, potatoes or other “fart-inducing” foods. You need to drop a pinch in the cooking water, and it makes the foods much more easily digestible. A small jar will last for a very long time. Also be careful with mixing legumes and animal proteins in the same meal. This mixture makes the digestion quite difficult. Being bloated and full of gas often leads to constipation and bad absorption of nutrients, so it’s definitely worth looking into proper food combining and being careful with the foods that are known for causing gas. Try this Ayurvedic remedy: mix a tablespoon of sesame seeds (I prefer toasted because they taste better) and mix them with 1/2 teaspoon of raw honey. 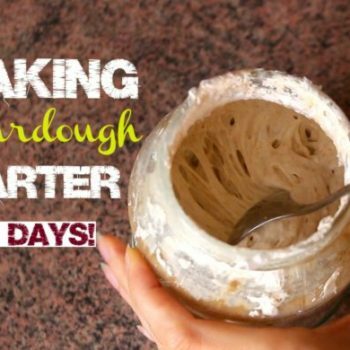 Mix it together until it forms a clumpy paste. I eat it as a dessert after breakfast. Sesame seeds have a lot of calcium and magnesium, plus tons of other things that are wonderful for your skin, hair, and nails. It’s also a wonderful dessert for those moments when you really feel like a dessert after a meal. Sometimes, meals just aren’t complete without something sweet. You can also try to use ground sesame seeds or tahini and mix it with some honey. It will be even more digestible and it will be like sesame seed halva, a famous Middle Eastern and Indian dessert. 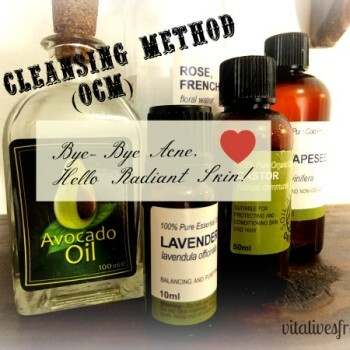 You know, I always talk about the Oil Cleansing Method, and yes, I still think it’s the best thing in the world for your skin. But have you ever tried doing the same to your body? It’s the most relaxing thing ever and warms you up right to the core. Take some raw cold-pressed sesame seed oil (in Ayurveda, the most traditional oil for this is sesame oil, but you can also use any oil that you like using for your skin, such as pumpkin seed oil, hemp seed oil, etc.) and heat it up gently. Then slowly massage it into your whole body, from your feet to your fingertips, to your neck. Take your time and enjoy the sensation of warmth. It’s also super good at removing dead skin cells and excess sebum from the surface of your skin, so once you wash it off, your skin will be super smooth and radiant. Just make sure you use warm water to rinse it off. If you have oily skin and body acne, you can also use a natural soap, such as Indian neem soap or Aleppo soap. You might be wondering how massaging your body with oil is supposed to benefit your facial skin? It will, you’ll see. You’ll feel more relaxed, your pores will be unclogged, sweat and toxins will be able to flow freely. Your facial skin will thank you for that very soon. Of course, don’t forget to use the Oil Cleansing Method for your skin, too. Once or twice a week would be perfect for both. If you have any problems with the OCM, check these two troubleshooting posts: Part 1 and Part 2. Excess dryness is one of the biggest problems with Perioral Dermatitis and can surely make it look and feel worse, so it’s important to nourish and hydrate your skin every single day. I apply a few drops of pumpkin seed oil on my face every single morning and evening. When the weather gets warmer and less harsh, I might skip it in the evenings occasionally and I might use less in the morning, but my skin needs a little bit of oil to be happy and protected most of the time. As you can probably already tell, I love pumpkin seed oil for that. 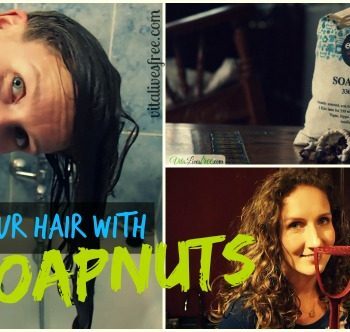 Other great alternatives are hemp seed oil and shea butter. Depending on how dry your skin is, you might also enjoy avocado oil or olive oil, but they are heavier and can be clogging for some people. If you aren’t using rosewater already, give it a try. Make sure it’s pure distilled rose petals and has no other additives. it shouldn’t be a cheap version of just water and rose essential oil. It’s the best and most soothing toner I’ve ever used and I’ll keep recommending it forever. 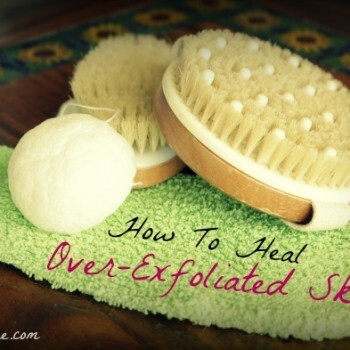 Don’t over-exfoliate your skin. In fact, I think that the Oil Cleansing Method with a gentle cloth is more than enough for gentle weekly exfoliation. 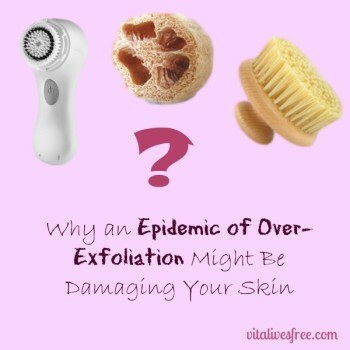 If you ask me, I’d say that most of skin ailments these days are everything to do with over-exfoliation. It’s a true epidemic. If you feel that your skin is already over-exfoliated, read my tips on how you can calm it down and heal it. We all know we need to relax, but we never do anything about it. We also know meditation is one of the best (if not the best) ways to do it, yet we never try or never stick to it. Try it! You don’t have to do anything fancy. Just sit straight in a quiet place and breathe deeply. Focus on your breathing. Notice how your belly rises up when you breathe in and collapses when you breathe out. Be grateful for that breath full of oxygen you are able to take in. Be grateful for all the toxins, anger, and stress you’re able to exhale. 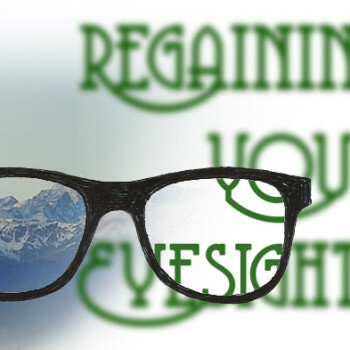 If any thoughts arise, watch them, acknowledge them, but don’t get engaged with them. And even more importantly, don’t start beating yourself up about it. It’s natural to have thoughts. We all do. The important thing is to learn to recognize them and to let them go. Meditation is a wonderful way to let out any residual anger, which, according to Louse Hay (she wrote a wonderful book called “You Can Heal Your Life”), is the main cause of skin problems. You’ll notice how you have much less anger in you when you start meditating every day. Start from a few minutes a day, work your way up to at least 15-20 minutes and you’ll discover a new side of yourself, I promise. A peaceful and balanced side. That’s my final tip for you. You need to learn how to love yourself and accept yourself exactly the way you are. Try repeating an affirmation in your head a hundred times a day, something along the lines of “I am beautiful and I accept myself just the way I am”. It will work even better if you do it aloud in front of a mirror. You’ll feel so awkward at the beginning (I sure did! ), but with each day it will become easier and it will start feeling more and more convincing. How many times have you said to yourself that you’re beautiful and very, very special? Probably none. It’s time to start, because you are! This is it for now. I hope that my tips will help you, Caitlin! And I hope it will also help the rest of you, guys. If you have any more questions like this, fire off below in the comments! Disclaimer: This post contains some affiliate links for your convenience. I only recommend things that I absolutely love myself, and they’ve all been bought with my hard-earned cash. Thank you SO much for posting this! It is extremely helpful. Another topic you addressed that spoke to me was in regard to exercise. Over a year ago, I had been following an online fitness personality, doing daily workouts that were short (15 minutes or so), but VERY intense, leaving me covered in sweat (which the instructor said was good and a sign of how ‘effective’ the workouts were). I stuck with this type of training for a little over one year, then I burned out completely. In hindsight, I realize this type of exercise was likely doing more harm than good. Lately my focus has been strength training (mostly body weight), stretching, yoga, and walking. I no longer feel depleted at the end of my workouts and, while I may sweat a little, I don’t look as though someone poured a bucket of water on me, nor does it take me 30 minutues to ‘cool down’. 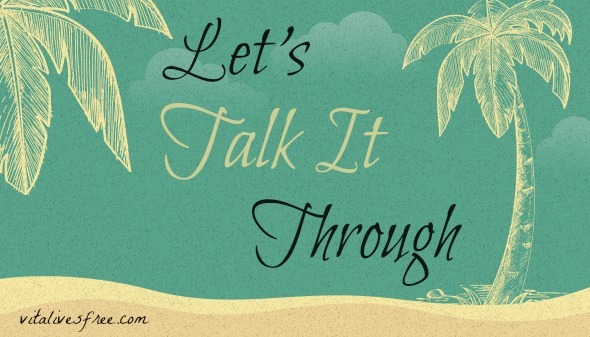 Anyway, I just wanted to thank you for taking the time to write this “Let’s Talk it Through” post as I found it so insightful and beneficial. Hi vita, Very interesting post! Do you know anything regarding the pitta-kapha type? I just took a quiz to find out my dosha…i’m desperate, my skin been acting up for a year now. I tried the OCM but it didn’t work out very well, it dried out my face and I tried all different kind of oil..im just using raw manuka honey to clean my face now and borage oil ( i tried other linoleic oil also) to moisturize but i think my pores still get clogged:( and i eat healthy mostly fish and vegetables… Any suggestions?? I think that’s probably why the OCM didn’t work for me. I been eating a lot of spicy food also, so that might contribute to it also. Do you think sauerkraut is ok? 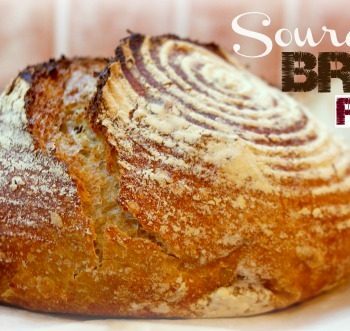 even if it’s sour? It’s seem like base on the food list I read online, the food for pitta-kapha types is pretty bland lol I’ll cut out spicy food and sweet fruits and see how it going to help. I’ll have to find something else beside banana and avocado to put in my green smoothie now :/ those two are not on the food list…spinach also. Thanks for all your help!